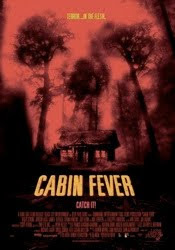 Patrick and Doug go off on way too many tangents during this F'ing of Eli Roth's 2003 horror movie Cabin Fever, from scary clowns and sentient toys to Predators and Robocops. And, of course, there are pancakes. I also think tar thing when I see a lone swim raft. Samesies. I think zombie when I see a hitchhiker. Same samesies. Thanks for the ride, lady.